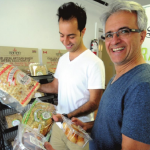 Amin Tavangar (left) and Reza Mosaedi of Saman show some of the packaged baked goods in the Persian bakery located in the Pemberton Avenue area. 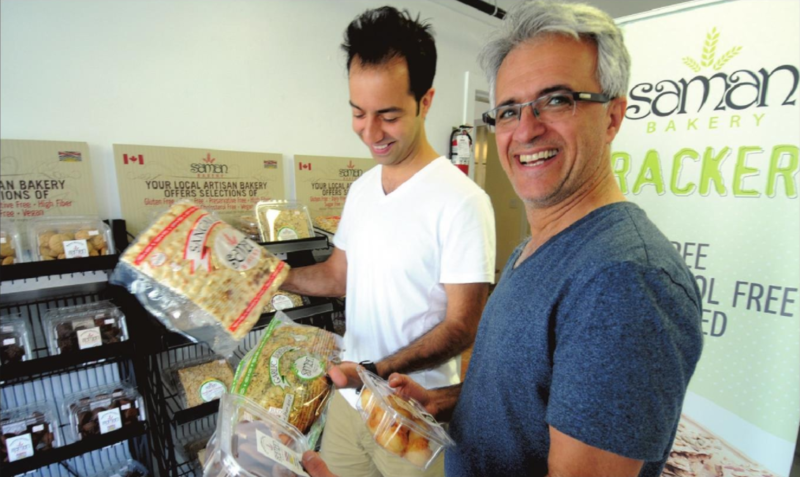 Saman’s signature flatbread crackers and macaroons are also sold in grocery stores across the North Shore. Inspired to bring Persian cuisine to the west coast, Amin Tavangar opened up Saman Bakery in 2005, selling just Persian bread to test out the Iranian market. Well fast forward ten years and Saman Bakery now ships its yummy, fresh goods to over 100 grocers throughout B.C and Alberta!